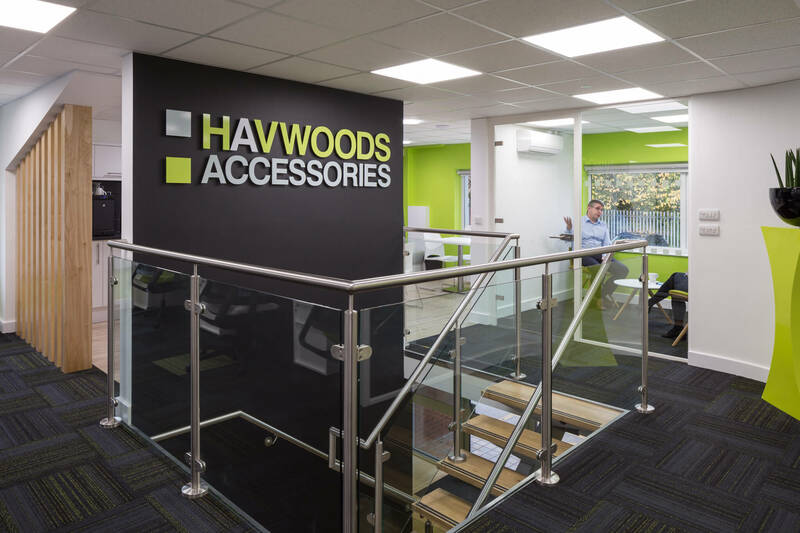 Havwoods Accessories, the Preston based flooring solution provider instructed Dale Office Interiors to completely refurbish their office space. 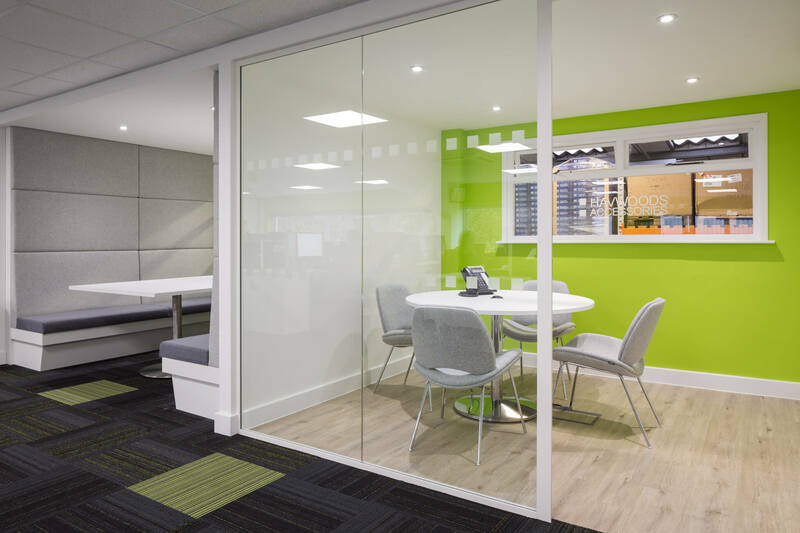 The entire space was re-designed to create an environment that encourages collaborative working, enabling the team to work closely with each other whilst maintaining an element of space. This resulted in a bullpen type desk area where previously teams had been working separately. The open plan design has created a wealth of space within which to work. Where previously there had been one boardroom and four private offices, there are now two additional meeting rooms, and two new collaborative work pods that are perfect for informal meetings. This gives staff an area they can work on team projects without disturbing others, one of which has acoustic cladding to reduce the sound levels in the area. Gavin Whiley, Managing Director at Havwoods comments: “As our people are our most important assets and we want to do everything we can to prevent them from burning out and becoming stressed. “We recognised the need to have an area where staff can take a break to eat or take time away from their desk. The new layout incorporated a kitchenette complete with seating that’s perfect for having a moment to reflect, relax and rest.